Thank you to everyone who visited the ORAFOL stand at the recent Intersec show in Jeddah. 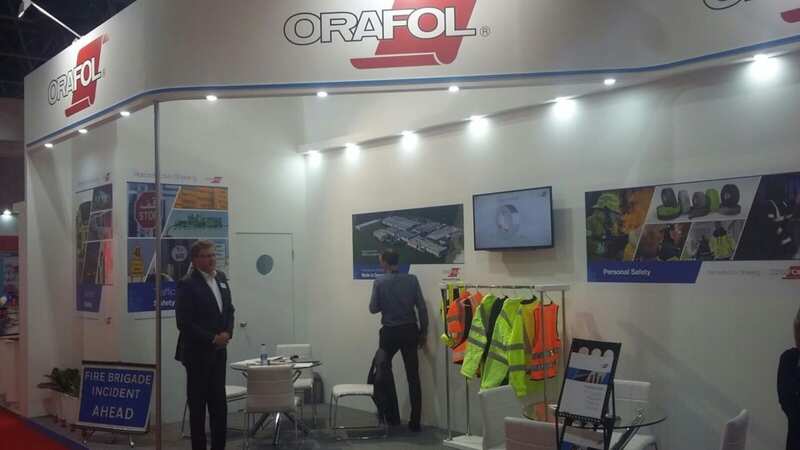 ORAFOL had their company debut at this show, and introduced a full range of high quality retroreflective sheeting for personal safety applications, vehicle conspicuity and traffic control. ORAFOL is in the process of opening an office in the Middle East, to be able to support customers in the region to give them the best service. For more information about the ORAFOL product range please visit the company’s website. ORAFOL has, over the years, made continuous investment in product development and production technology, and today offers a broad range of retroreflective materials that meets and exceed the industry’s highest quality standards. ORAFOL Europe GmbH is certified according to EN ISO 9001 and EN ISO 14001, and all production takes place on the most advanced and reliable production equipment available in the industry today. ORAFOL have a range of product information videos available to watch on their website. Click here to view them.